Turkish artillery shells Tal Rifat. 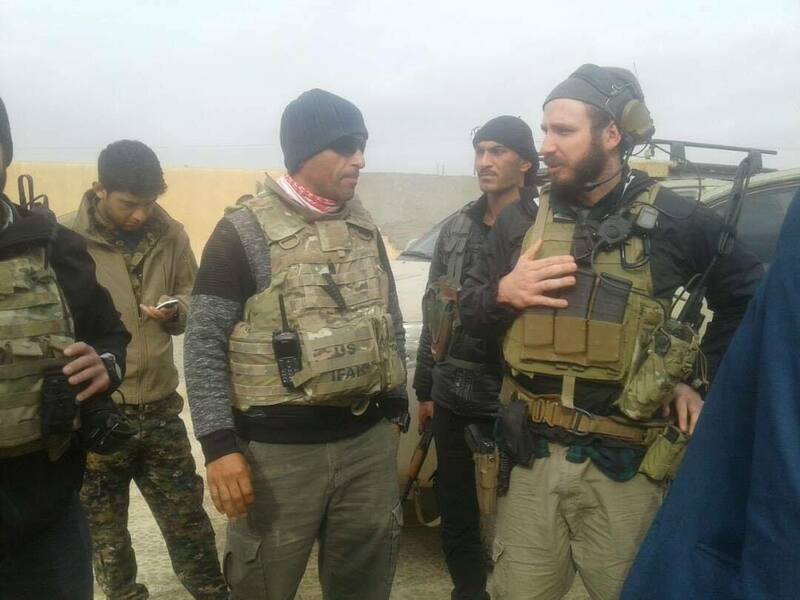 SDF head M Kobani: "(Jeffrey) knows well that Turkish attacks will make the fight against Daesh fail and all the work between us will go to waste." James Jeffrey, came to the SDF region after holding talks in Ankara earlier this week. 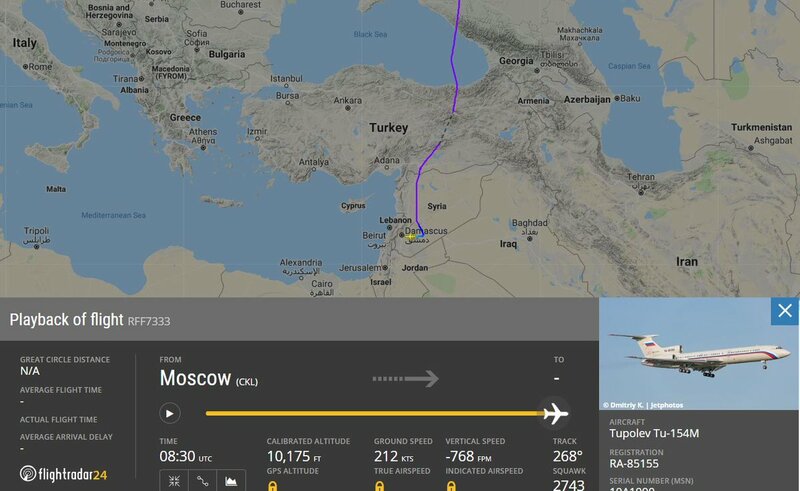 Russian Air Force (RUAF) TU-154M RA85155 from Moscow to Damascus, Syria. N-W Syria tonight. 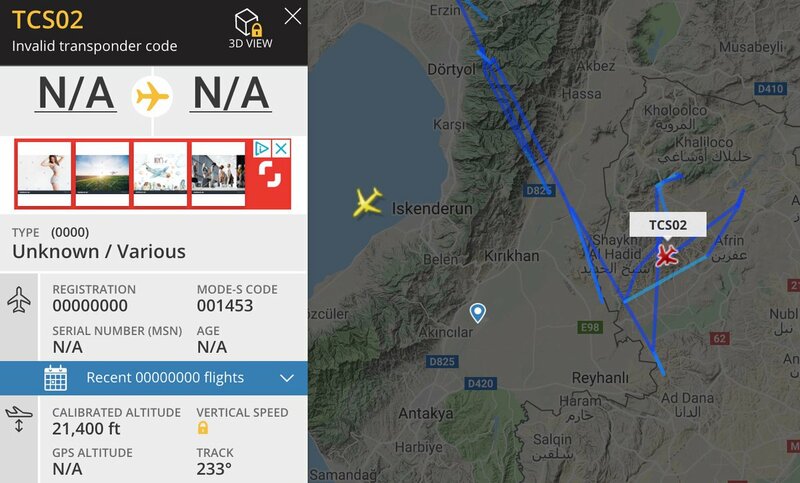 Turkish drone over Syria's Afrin while Royal air force KC2 Voyager over nearby Turkey's Hatay. 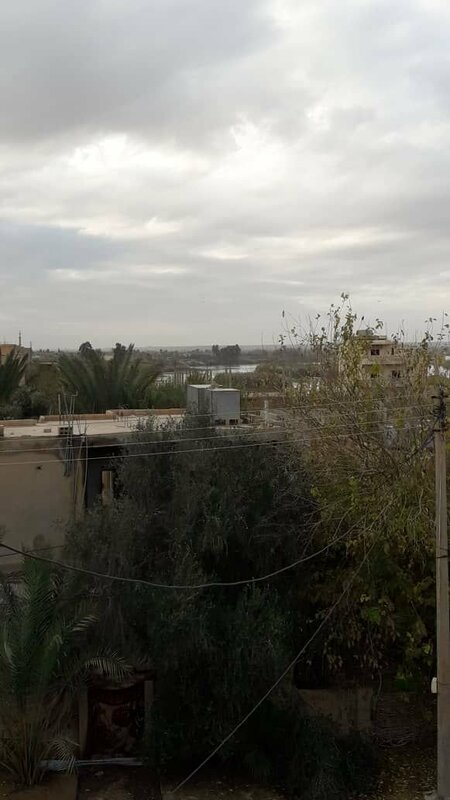 No visible activity over eastern SDF/YPG-held areas. Mazloum Kobani SDF Commander-in-Chief: "We are ready for any attack and will respond strongly within our areas. 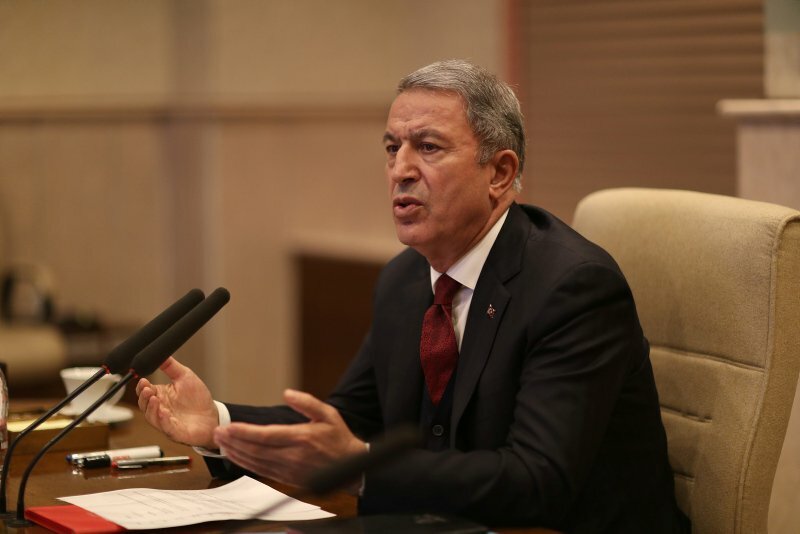 Till now, our diplomatic attempts are ongoing to deter this." 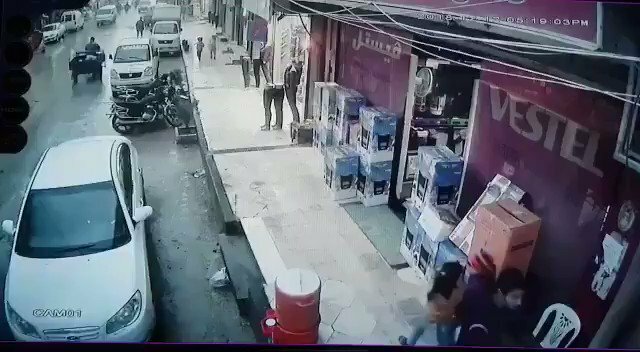 4 civilians killed and 9 wounded in The explosion of the motorcycle in the center of the city of Afrin north of Aleppo today evening. All of Hajin except for the bits in the south have been captured. Daesh have withdrawn. 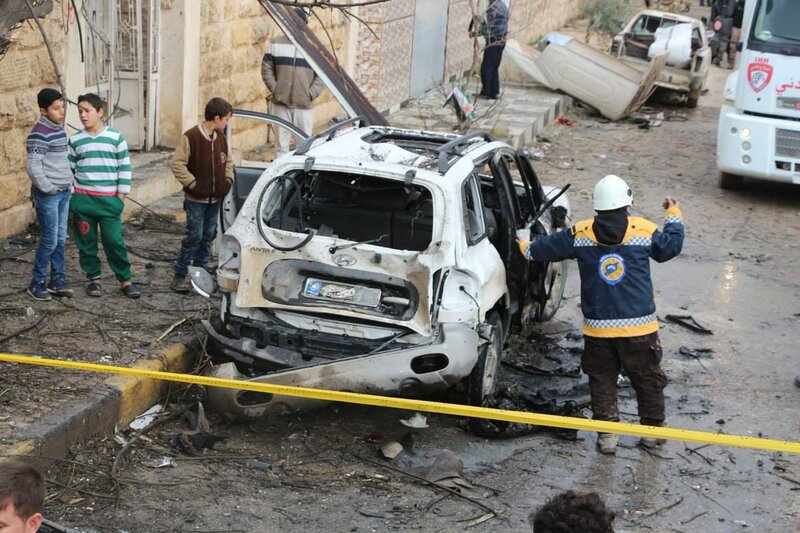 Two civilians were injured when a motorcycle exploded in the center of the town of Afrin north of Aleppo. 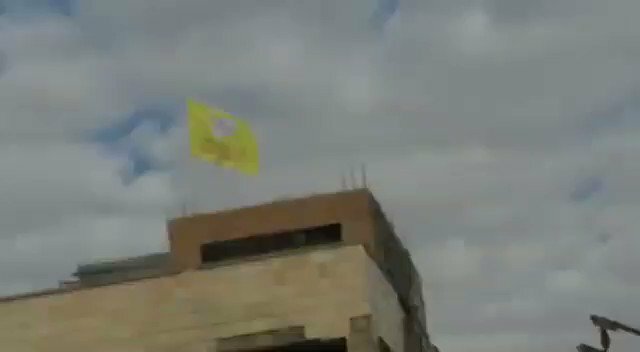 SDF flag in Hajin bazaar place, center of the town. Report that Daesh defenses have fallen apart in Hajin and that Abu al Khatir is under SDF control. This would be a significant development in the fight. And means that Hajin would be captured. 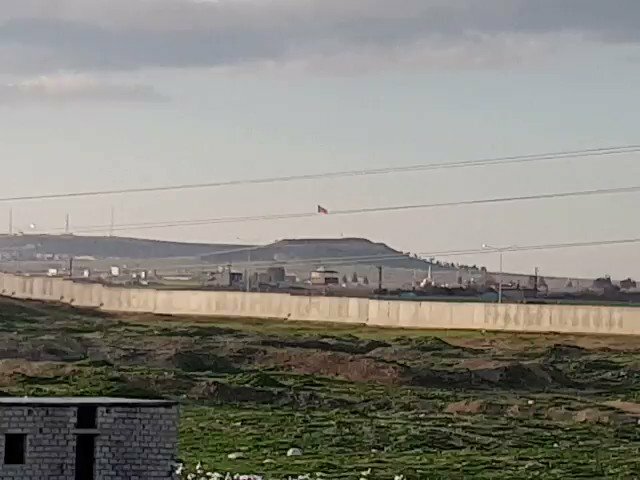 YPG opened fire from Tell Rifat towards Turkish soldiers in Afrin. 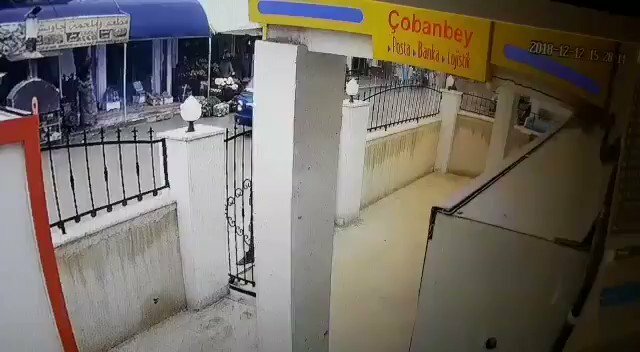 1 Turkish soldier killed. 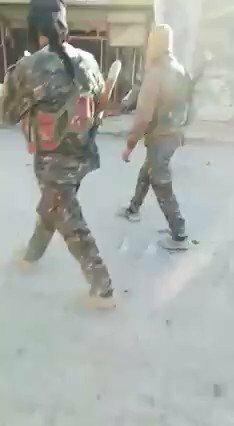 Turkish military hit the Syrian Army, not the YPG near Tal Rifa'at. 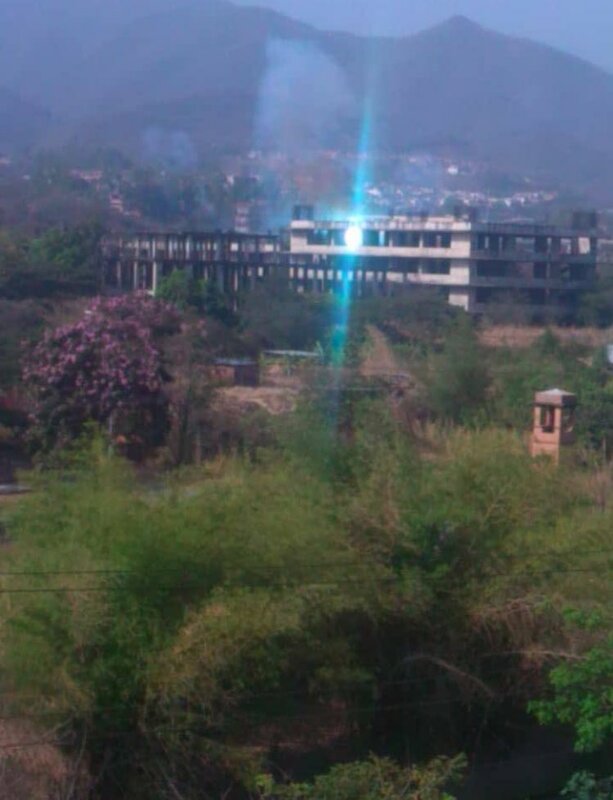 A couple soldiers were reportedly wounded, but nothing serious. 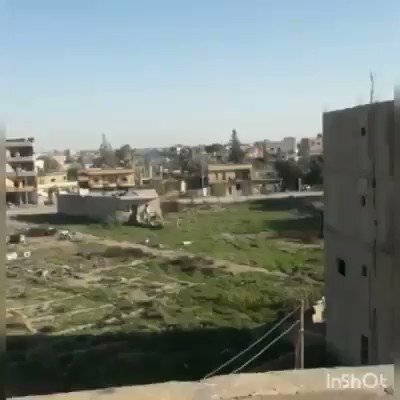 Syrian army responded with a barrage of artillery towards the small town of Jaleel. All quiet now. 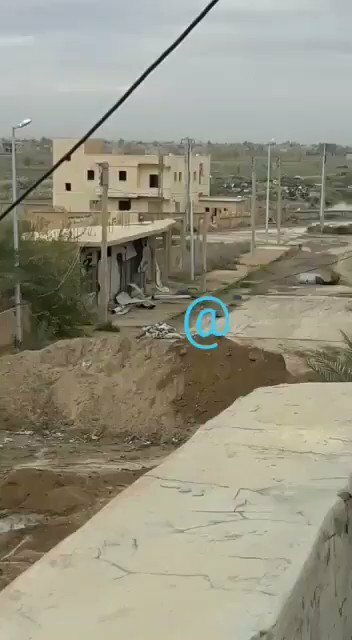 ISIS VBIED targeted SDF fighters in Hajin, DeirEzZor. the blast occurred meters away from @K24English team. 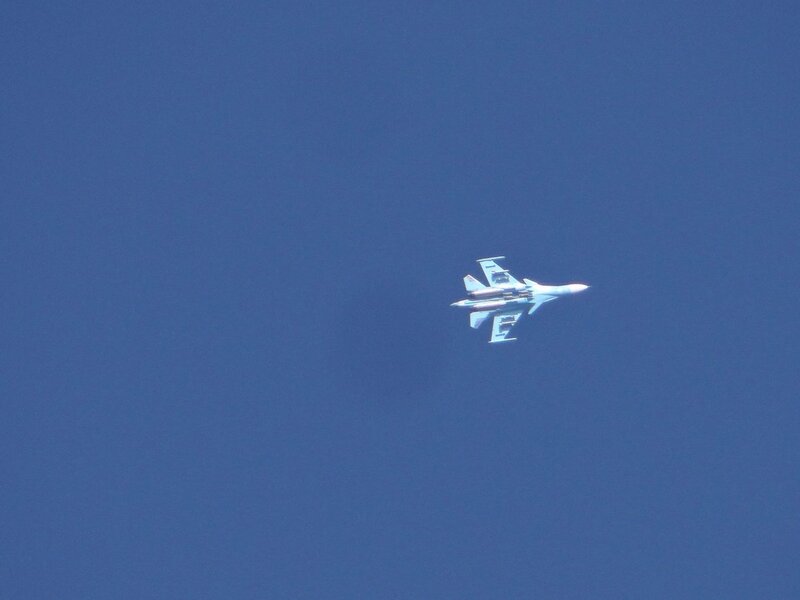 NSA spox:All factions are going to participate in the upcoming offensive.Turkish jets will be involved the battle.The battle will consist of several stages. 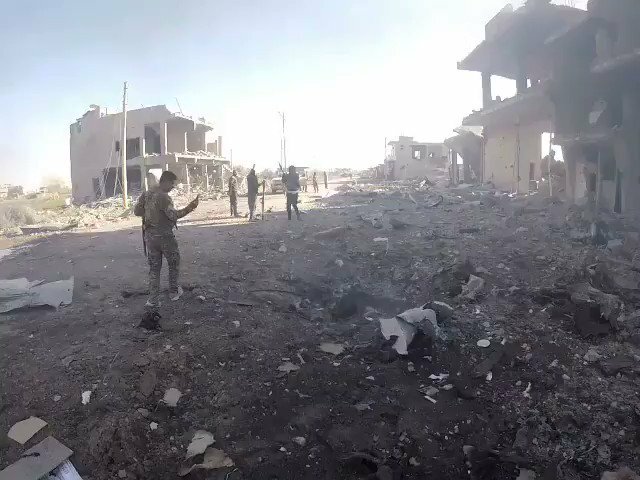 Aftermath of an SVBIED attack on an SDF position in Hajin today. Pentagon responds to Turkish threats of a military incursion into NE Syria: "Unilateral military action into northeast Syria by any party, particularly as US personnel may be present or in the vicinity, is of grave concern. 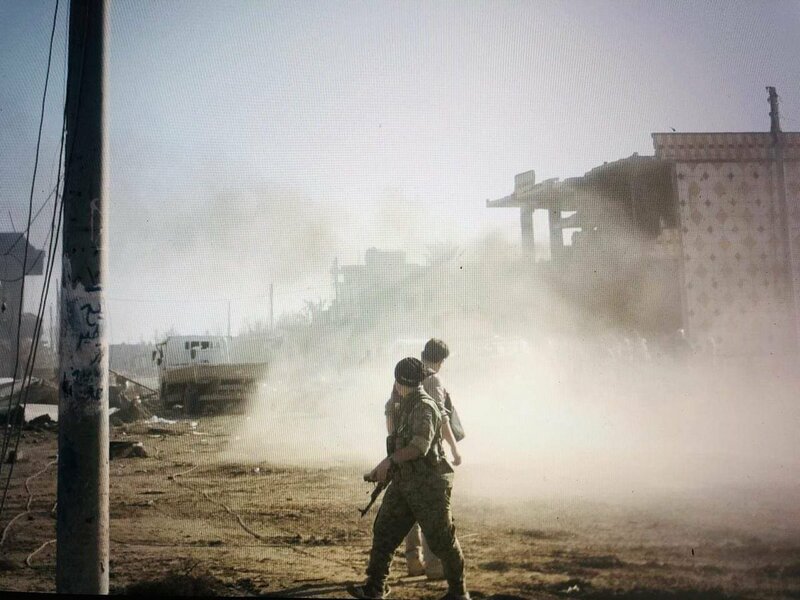 We would find any such actions unacceptable"
SDF continue to advance in Hajin Town in Deir ez-Zor. According to ANHA they control 50 per cent of Hajin now. 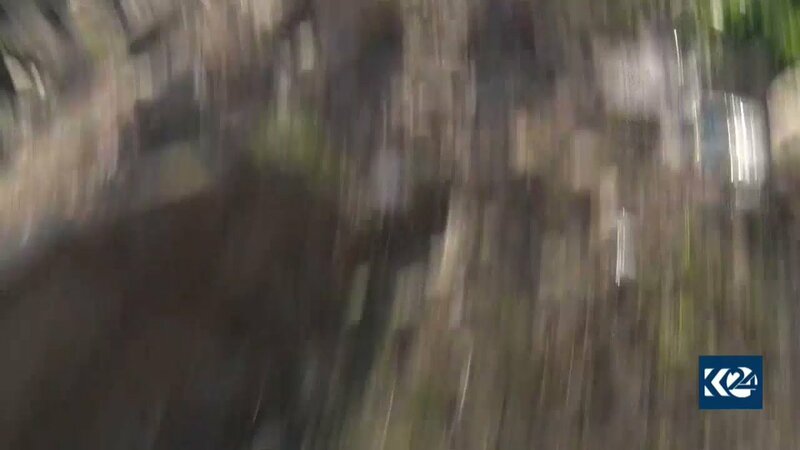 K24 reporters on the ground narrowly escaped a Vehicle-Borne Improvised Explosive Device (VBIED) attack in Hajin today. The Self-Administration in North and East of Syria has announced a General Mobilization,and has called upon the Assad Government to take an official position on Erdogan's threats. 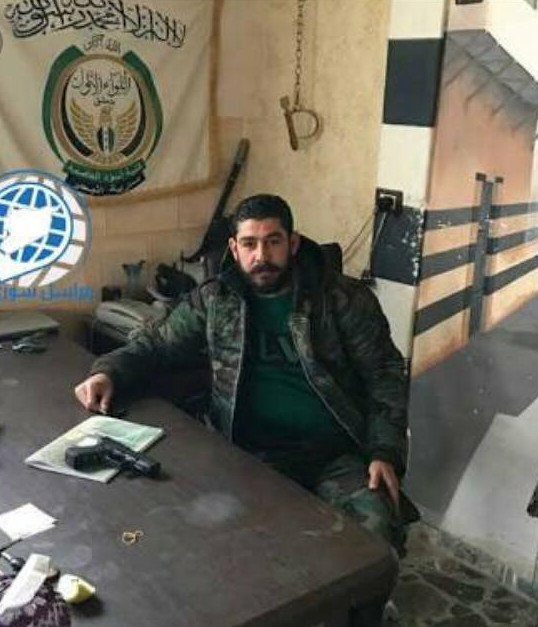 Syria: Abu Bahr ex-FSA commander of Damascus 1st Brigade who helped to hand over Barzah to SAA in 2017 was reportedly executed with other leaders by Assad's Mukhabarat. He was awarded for his contribution to the Nation and also went to Sochi. Per @brett_mcgurk, "A couple of thousand.of the most hardened ISIS fighters" remain holed up in the Hajin and DeirEzZor area On October 2, when asked how many ISIS were in the area, @OIRSpox told Pentagon reporters, "We always said around between, you know, 1,000 and 2,000"
[email protected]'s @brett_mcgurk called the SDF incursion into Hajin "a pretty significant achievement" while talking to reporters Tuesday but cautioned retaking the last 1% of the so-called caliphate from ISIS would require "a period of months"
SDF captured area around the Firdaws mosque in Hajin. Inherent Resolve: Between Dec. 2 and Dec. 8, CJTF-OIR conducted 251 strikes consisting of 494 engagements in Syria and Iraq. Mortar shells targeted the villages of Tal al-Sakhr and al-Jaysat, north of Hama. 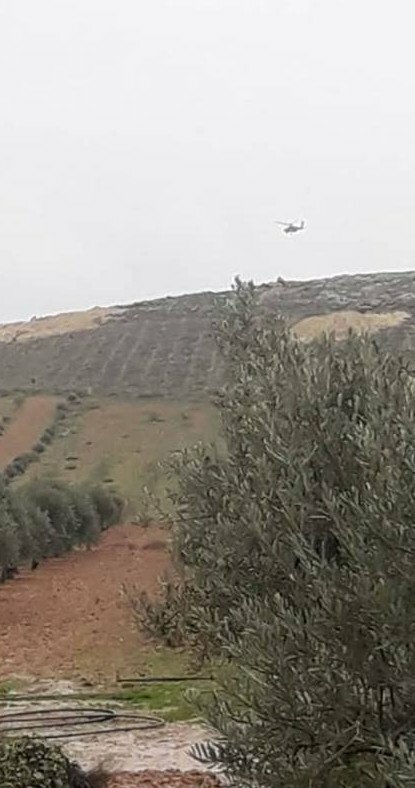 Syria: US helicopters patrolling the front NW. 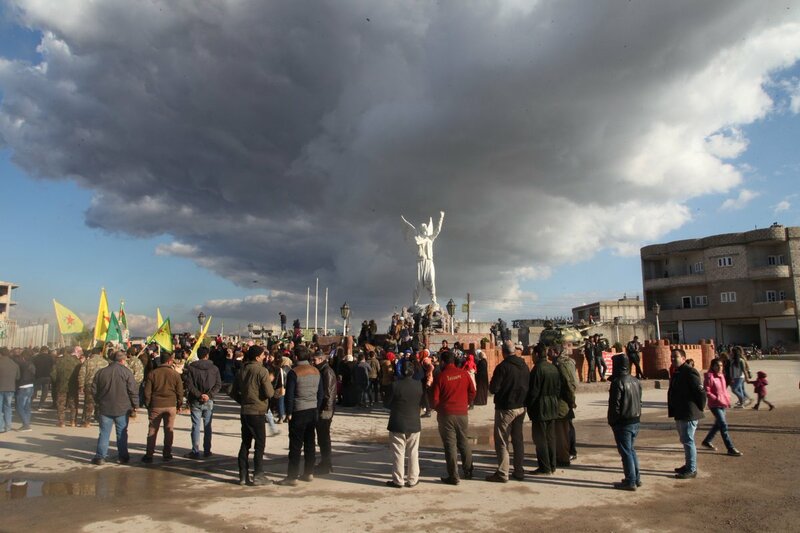 of Manbij. 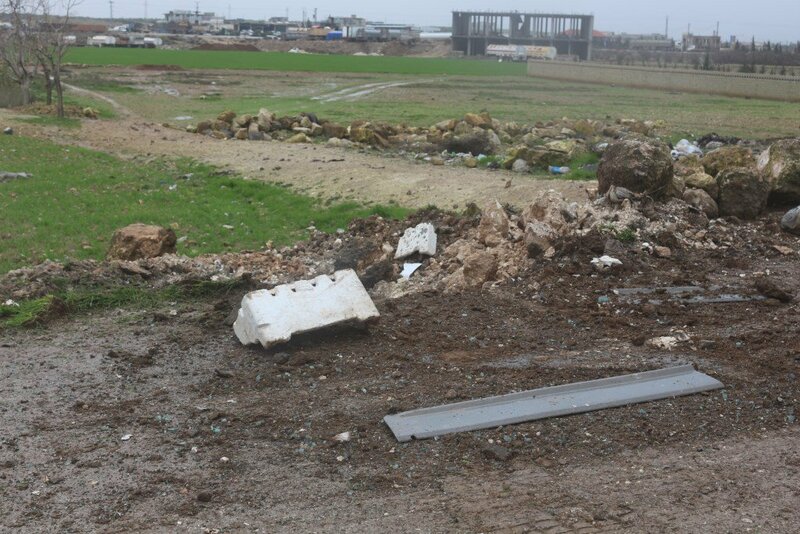 Yesterday sporadic clashes erupted between EuphratesShield forces and Manbij Military Council (MMC). The IDF delegation to #Moscow: The Israeli army will continue operating to prevent Iranian entrenchment and the arming of Hezbollah in Syria. The delegations reached an understanding and agreed to continue in their joint work. Azaz City: A 12 year old girl Nour Jablawi was killed, and more than 20 others were injured so far, after an unknown explosion in the center of Azaz City in the northern countryside of Aleppo this afternoon.